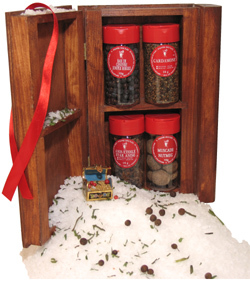 Here are 12 seasonings which will bring happiness to the chefs. 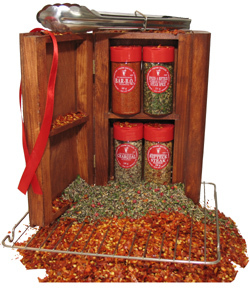 The spice passion is for people who likes to prepare tasty dishes. 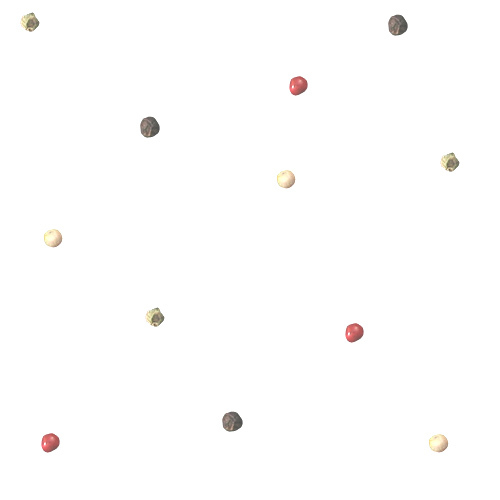 The new Québécoise cooking is original, creative, of regional and international inspiration. 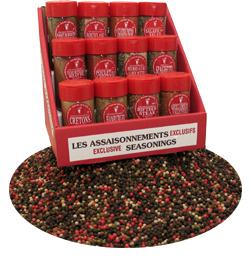 However this display unit made up of 12 seasonings rather emphasizes the traditional cooking and the popular dishes tasted by the Québécoise family on a weekly basis. 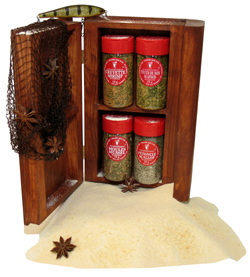 This luxury case of 4 typical, authentic seasonings emphasize on products from the sea. Often the hunter is also a fisherman. He has almost all, he doesn't misses anything because he already bought all that he needed except… specialized seasonings for the meat and fish. Here the ideal gift if you wish being invited to a supper. You are invited to a corn party, to a Lamb barbecue, you are asking yourself what gift to bring? 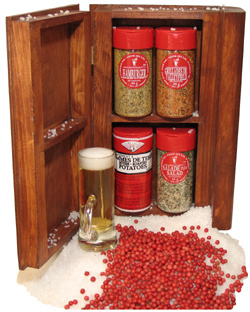 Here is the ideal gift case for a party. The only and unique Piper Nigrum mixed with Pink Bay, a delight to be offered to an expert or an amateur of Good Cooking. You have a friend who attends a Bistro and you dont't know what to offer him. 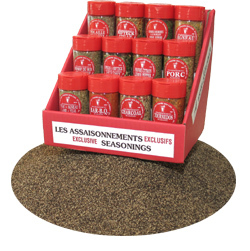 Here are the seasonings which will bring him back good memories. 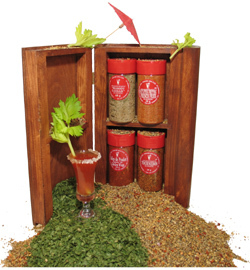 Here are the 4 seasonings for the Bar.B.Q., they are an ideal gift to offer to any Bar.B.Q. maniacs. Often a treasure is within our range, then why seek it elsewhere when it be found nearer. 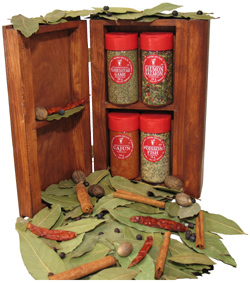 This deluxe case will make you discover 4 spices which are worth gold still today. A gastronomical adventure, it is to discover the unknown flavours and savours. 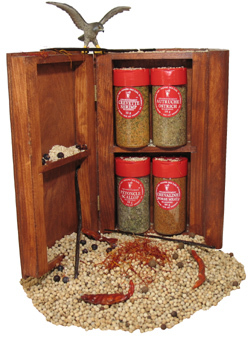 This deluxe case makes it possible to leave at the discovery of exotic dishes.